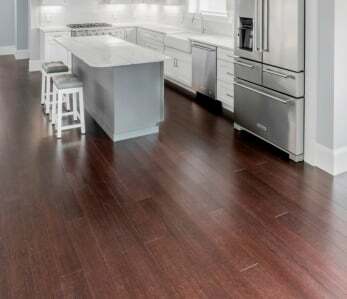 Home › Flooring › How Do I Clean Bamboo Flooring? A Simple Guide. 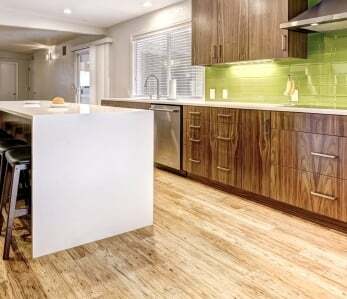 How Do I Clean Bamboo Flooring? A Simple Guide. Bamboo flooring is fairly easy to clean, in fact it’s very similar to regular hardwoods. Just remember to never steam mop or wet mop a bamboo or hardwood floor. The key is to always use a lightly damp mop combined with an approved cleaning solution for hardwood floors with polyurethane finishes. Experts recommend using a bamboo-specific cleaner such as , but there are other widely available hardwood floor cleaners on the market that will work just fine such as Bona Hardwood Floor Kit and Swiffer Wet-jet for Hardwood Floors. You’ll still want to check the manufacturer’s care and maintenance instructions on how to clean your bamboo flooring just in case. The supplier is the most qualified person to give you this after sales and product information, and your floor may have a special finish that requires a different cleaning solutions. Their instructions should explain in detail how to clean your new bamboo floors and what types of cleaner to avoid using on them. Cleaning bamboo floors is similar to cleaning hardwood flooring. Purchase an approved bamboo floor cleaning solution such as , Bona Pro Hardwood Floor Cleaner or Bona Pro Hardwood Floor Mop. For hard-to-remove marks you can also use white vinegar mixed with water, but this should be used sparingly as the acidity in the vinegar can dull the finish over time with repeated use. Spray the cleaning solution as a light film across your floor, and then clean using a lightly damp mop. Gently mop in circular patterns ensuring to add extra pressure to areas with more dirt or grime. Never wet mop or steam mop a bamboo floor. Ensure there is no moisture or water left over on the floor when you’re done. Sometimes knowing what not to do is as important as knowing what TO do. The following is a list of things that can be harmful to your bamboo floors. Although bamboo stands up to moisture better than hardwood floors, when it comes to cleaning your bamboo floors, less water is better than more. Using a mop or cloth that is wet or soggy can cause water to become trapped in the boards which will, over time, swell and warp. For this reason using only a slightly damp cloth or mop is advisable. Steam mops can be used over other types of flooring such as tile, but you should , because it injects moisture into the wood which is all around just a bad idea. 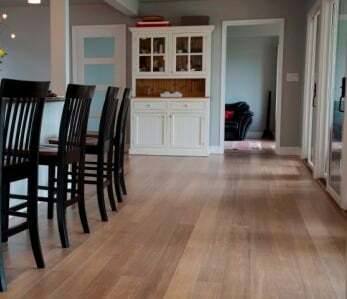 Bamboo is a very durable and resilient floor. That being said, it is susceptible to scratching just like hardwood floors. For this reason you should avoid using a hard or stiff brush to scrub your bamboo flooring. Always use a soft cloth or soft microfiber brush to clean your floors. Not all detergents are created equally and care should be taken to read labels carefully. Bamboo floors can be corroded by abrasive detergents, so always . Also, you don’t have to use a whole bottle for cleaning, apply the detergent sparingly using a spray bottle so the cleaning agent doesn’t pool on your floor. Save the wax for your car! Your bamboo floors simply don’t require it and will, in fact, catch a lot of dirt and debris, making your floors look dingy and dirty. Instead of waxing your floors, consider using a urethane finish approved by a reputable . Oil soap and oil soap products should not be used on bamboo floors. The soap can cause the protective layer of the bamboo planks to peel right off. 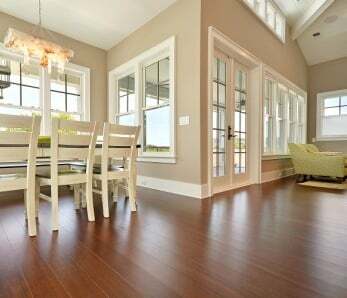 Again, best to clean with an agent that is PH balanced and has come recommended by the supplier you purchased your bamboo floors from. Sweeping and vacuuming your floors regularly with a broom or dust mop will keep the protective finish of your floors from wearing over time. If using a vacuum cleaner, make sure it has a felt head and not a hard head or beater bar. When spot cleaning is necessary use a soft cloth that is barely damp to wipe up spills. Use area to help prevent outside debris from being tracked onto your floors. Keep pet’s nails nice and trimmed and never wear heels or cleats inside the home. Also, like with hardwood floors, never slide heavy furniture or appliances across your bamboo floors. Your flooring will perform best when the interior of your home has a consistent humidity range of 40%-60% and a temperature range of 60 degrees to 80 degrees Fahrenheit. Fixing scratches on your floor is something you will generally be able to do yourself. If the scratch is white, the finish has not been compromised and is repairable. Simply use a PH balanced cleaner with a soft cloth and you can easily eliminate these blemishes. If the scratch is deeper but the raw wood is not exposed, you can apply a little bit of mineral oil to a rag and this will minimize the appearance of the scratch. For deeper scratches and chips you can minimize their appearance by using a colored wax fill stick, or a putty filler such as Timbermate or Picobello floor repair kit. If you have more severe damage that cannot be fixed with this method, your best option is to replace the board. If you follow these tips you’ll be sure to keep your new bamboo floors looking as beautiful as the day they were installed. 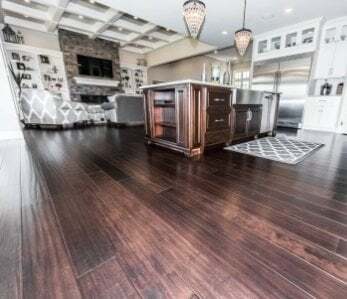 Our new bamboo flooring has what I can only call blotches all over: they include a lot of slightly pale stretches that are evident only from certain angles on the walnut stained flooring, and then circular discoloring here and there. Will regular white vinegar and water clear this up, or is it a more serious problem. Who can I talk to in my area – Philadelphia – who would be an expert on cleaning our floors. Since different brands may have different finishes, we recommend that you reach out to the manufacturer of your floor for cleaning advice. If you try a rag soaked in a bit of white vinegar and water and this doesn’t remove the stains, they may be permanent. If the floor was glued down, the installers may have failed to clean random drops of glue off of the finish before it dried, and the removal of the cured glue may have caused the blotchy areas, especially if the cured glue was cleaned up using mineral spirits. If the spots are permanent, the only viable repair may be to .